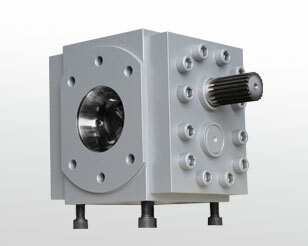 DE series gear pump for plastic extrusion is mainly used in thermoplastic extrusion system, such as sheet, plate, pipe, film, cable, co-extrusion, mixing, precision extrusion and other industries, installed in the extruder exit and the die Intercropping metering pump. 4. Lower extruder load, save energy, reduce costs. 3) Precision structure, high precision, long life.